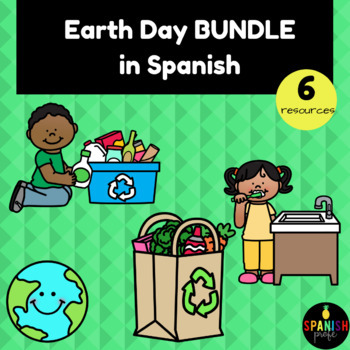 This Earth Day Bundle in Spanish includes six resources that you could use during April or when teaching about recycling in Spanish. Ideal for students in Spanish immersion, bilingual and dual language classes in Kindergarten, 1st or 2nd grade. Includes centers, worksheets, coloring sheets, easy reader books and more about Earth Day in Spanish.